SSI products are engineered and manufactured to provide high-quality valves at competitive prices. SSI has successfully developed a reputation for manufacturing industry leading carbon steel double door check valves. As well as carbon steel double door check valves, SSI also manufactures basket strainers, butterfly valves, triple duty valves, suction diffusers, y-strainers, foot valves utilizing state-of-the-art, computer controlled, automated machining equipment. SSI manufactures carbon steel double door check valves that are long-lasting, functional, cost-effective, and are well suited for commercial and industrial use. SSI carbon steel double door check valves are suitable for a full range of steam, liquid, gas & oil, power, pulp & paper, process equipment, chemical, metal & mining and water & waste applications. Dual disc carbon steel double door check valves with wafer body style designed to ASME B16.34. 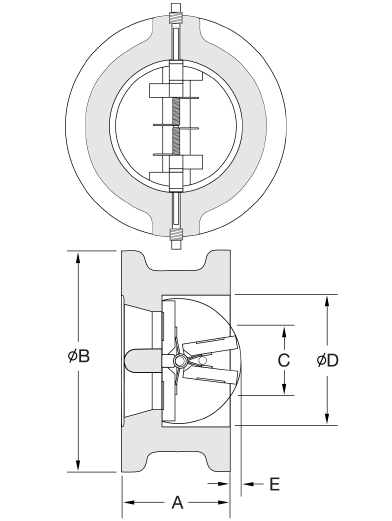 The check valves feature an integral cast bumper and Buna-N, Viton or metal seats with stainless steel discs. 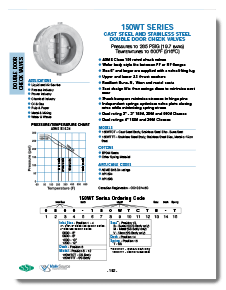 Download more in-depth technical specifications for our line of carbon steel double door check valves by clicking on any of the above literature thumbnails. For almost 15 years, ValvSource America has continually committed itself to offer the best carbon steel double door check valve products to meet a wide range of applications and requirements. 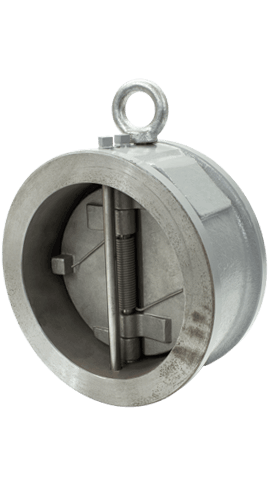 As an industry leader, ValvSource America has your perfect carbon steel double door check valves solution. Our success in the valves industry is attributed to our customer-centric team of sales personnel, engineers, and trained staff that are collectively committed to providing quality products at a price you would come to expect.